A Real Estate Map Tool Is The Key To "Amenity Marketing"
New York City is adding a new subway line. So what’s the big deal? Just ask the developers who are flocking to the area and building around it like crazy. As anybody in the real estate business knows, change creates opportunity. A new school, a new mall or a new subway line can have a major impact on the homes surrounding it. But what is the best way for a real estate broker or agent to capitalize on these opportunities? The answer is a real estate map tool designed specifically for this purpose. Here’s what is happening in New York: The Metropolitan Transit Authority announced that Phase 1 of the Second Avenue subway will be in operation by the end of the year. It only took a century for this to happen. Seriously, city officials were talking about this line before the Great Depression of the 1920s. You can imagine in a place like Manhattan stacked to the clouds with skyscrapers, it would be hard to enact any major changes in transportation such as adding subway tracks underground and new subway stations above ground. But it will be finally be done. That’s all it took for a bunch of developers to jump on the train and see a big opportunity for virtually undeveloped areas to explode with high-income housing. Nineteen new projects are being built between 59th and 96th streets. That’s a surge of new properties about to come on the market. Restaurants are going in as well. Since there is room to breathe in this area for builders, many of the projects will feature three and four bedroom homes. That’s quite different than the usual one and two bedroom suites you find. For that reason, more families are expected. That means an increase in school enrollment and more family related businesses such as tutoring services and martial art studios. However, you don’t necessarily need a gazillion-dollar rail line to attract real estate investors. In Miami, the city parks and recreation department is about to build a string of parks along the metro-line called the Underline. Smartly, it will utilize the empty spaces that are shaded by the elevated tracks. That $110 million project has already resulted in an increase in home sales and prices in communities near the parks and has attracted millions in new residential projects. New transportation hubs, schools, parks—these are gifts to real estate professionals. But amenities don’t need to be million dollars projects. They could be a new Trader Joe’s or Whole Foods store. Even something as simple as a new Starbucks. All these location “gifts” pop up continually on the real estate landscape. It’s how you take advantage of them that matters. Don’t let these location “gifts” go to waste. Exploit the heck out of them. They are the factors that can help a buyer make a decision. They are factors that can turn a lackluster neighborhood into a hot neighborhood overnight. One of the best ways to take advantage of amenities in a marketplace is with a real estate map tool such as the one offered by Home Junction. First of all, it’s a technology that is embed into an agents’ website. So there is no need to send a prospect to another site to see these amenities. Secondly, it’s more than just a Google map. It’s a map that is integrated with an IDX so that an agent or brokers can show prospects how a specific property listed on MLS relates to any neighborhood amenity by distance. Or even multiple amenities such as restaurants, golf courses or schools. Third, a broker or agent can show these amenities on their website, and then share the link to that page ON THEIR WEBSITE to prospects and on social media. In fact, home buyers can do the same thing—share with their friends and family these location—based amenities to get their feedback and input. All of this activity will take place: on the AGENT’S WEBSITE, not on some other site. 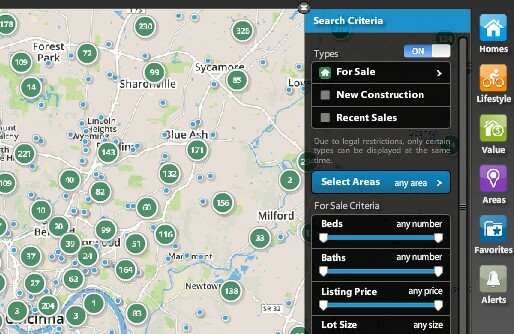 This geo-spatial real estate map tool is not just for buyers either. Sellers will be impressed with how you will be able to market their properties in terms of the popular amenities surrounding them. All of a sudden, a lackluster 3/2 can be turned into an exciting property with a train station/mall/charter school shown to be in the vicinity or about to be in the vicinity. Real estate is all about location, location, location. A rail line can be a catalyst for massive interest and investment in a city. The same goes for just about any amenity. 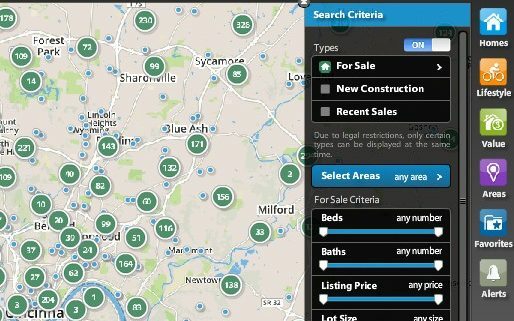 Show buyers and sellers you are at the top of the marketplace when it comes to amenity marketing by showing them a real estate map tool. Click here to read about the NYC subway line real estate boom. https://www.homejunction.com/wp-content/uploads/amenity-marketing-map.jpg 334 514 Bob Caston https://www.homejunction.com/wp-content/uploads/Homejunction-logo.png Bob Caston2016-11-12 11:17:272017-05-06 15:49:09A Real Estate Map Tool is the Key to "Amenity Marketing"